This easy-to-push-on 90 degree Elbow works with the most common sizes of 1/2" drip tubing. It features a unique release tab that allows for removal and reinsertion of tubing for convenient installation and maintenance. 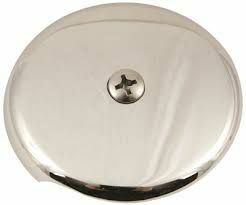 Fit All Basins Or Bath Tubs. Firmly Imbedded Spud with C.P. Split Ring Will Not Pull Out.